ASK A COACH - 5 Important Habits For Your Team In Practice? 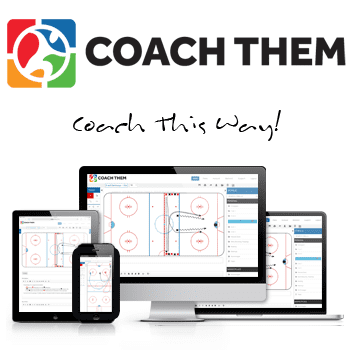 ASK A COACH – 5 Important Habits For Your Team In Practice? 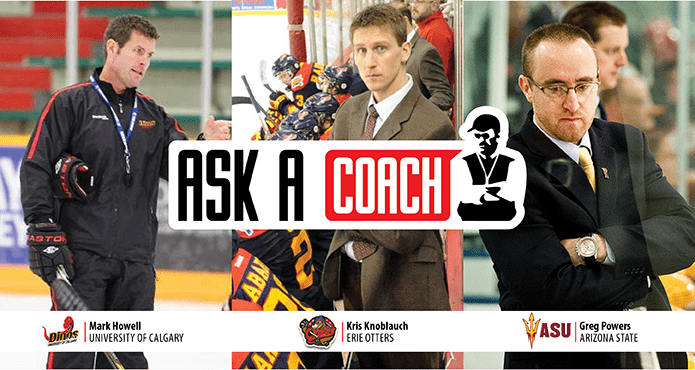 Welcome to the first instalment of Ask a Coach. 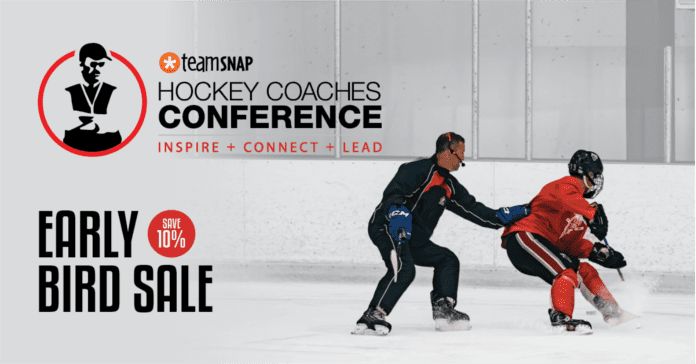 During the summer we really paid attention to the questions our delegates asked the speakers during our annual TeamSnap Hockey Coaches Conferences. We thought it would be interesting to reach out to our network of coaches during the season and get their input on some of the questions that seemed to be top of mind with our audience in attendance. Coaching is full of catch phrases. Compete level, 200 foot player, one game at a time…the list goes on, and we’re sure to hear some new ones gain popularity this season. One coaching phrase that is likely here to stay is “habits”! The theory is, if you can get your players to develop good “habits” in practice, they’ll carry over to the game and the results will take care of themselves. Instead of always focusing on the big picture in terms systems and team tactics, coaches can help their players think less and react more on the ice by turning the fundamentals into “habits”. We first caught wind of the theory in 2011 when Pen State head coach Guy Gadowsky spoke on Teaching Habits, Not Systems. He explained in his presentation that he got turned onto the philosophy by Ken Hitchcock, who spent time with his team at Princeton (prior to Penn State starting a Div1 hockey program) during the 2004/05 NHL lockout. Here’s a clip from his presentation, where he goes into a little more detail and shows a shift from an NHL playoff game to give our audience a sense of how habits impact overall team systems. We asked three coaches; Mark Howell (Head Coach, University of Calgary), Kris Knoblauch (Head Coach, Erie Otters), and Greg Powers (Head Coach, Arizona State University) what are the five most important habits you look for from your team in practice? The details of the game are very important to the DINOS Hockey team and for me as a coach. Don’t let your players simply come and attend practice and wait for instructions from the coach. They are there to get better every day and push their teammates to improve also. 1.) Passing – It’s up to the players to focus and stay ready so they can pass and receive the puck consistently. Players have a tendency to lose focus as practice goes on or as a drill continues. 2.) Communication – Be loud and call for pucks and talk through various responsibilities on the ice, both offensively and defensively. Being loud makes everyone accountable and increases the energy on your team. 3.) Stop at the net – If you want to score you need to learn to stop and hunt down loose pucks. Don’t stop beside the crease, or below the goal line. STOP at the top of the crease. 4.) Shoot to Score – This is the player’s chance to take pride in scoring and gain confidence so they know they can score in a game. Too many players are happy shooting on the goalie. After the goalies are warmed up (1drill), the players should always shoot to score. Have them keep track of how many they score. Example, 4/10. 5.) Compete – Learn to push yourself and your teammates and compete in practice. Don’t take the easy way out and coast through the drills. Being intense in practice will lead to playing with more intensity. You cannot simply learn to turn the switch on for games. 1.) Moving their feet – Drive the net whether puck carrier or support. No coasting! 2.) Stop in front of net after shot -Stick length away from blue paint. 3.) Sticks on the ice -This goes for offensive and defensive players. 4.) Talking – All players must talk in practice. Whether it’s calling for a pass or communicating your positioning. 5.) Execution of drills – Players are expected to be ready to perform each drill. Knowing when to go, making and receiving passes, doing the drill properly. 1.) Call for passes – To help players not only communicate but listen, and execute more efficiently. 2.) Hit the net – Follow your shot to the net and stop to take advantage of rebounds and create traffic. 3.) Stops & Starts, no circling – This creates good habits of stopping on pucks and staying in the play. 4.) Sprint back to lines after every rep – This creates a sense of urgency and focus and keeps pace high while practicing. 5.) Always compete and have fun – If you’re having fun, you’re playing free and not over thinking the game. What’s great about all these habits are that they can be applied to and have an impact at all levels. It goes to show that the fundamentals of the game never change, and even elite players need to be reminded on a daily basis of the small details. Your job as a coach is to keep players accountable and ensure they execute these habits every day! If you have some more habits that you feel are important, or that you currently implement with your team, we would love to hear from you. ASK A COACH – How do you Build a Skill Foundation in Young Players? 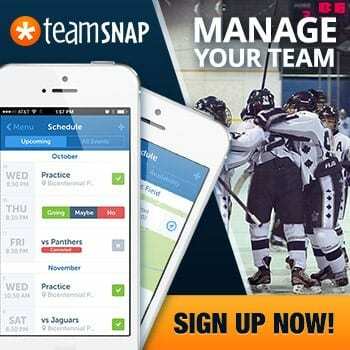 ASK A COACH – How do you Prepare your Team For Practice?